“My name is Judit. I am originally from Budapest which I called my home for 19 years. I have always known that eventually I would want to move from Hungary, but even the thought of moving away was hard. It wasn’t that I’d be homesick if I left, but rather, it was the fear of being far away from my sisters. We have a special bond. We are triplets. We have always had this idea of owning three houses on the same street so we could just run over to each other if we need a chat, to have a cup of coffee or if we’d run out of flour and did not feel like driving to the store. Well, life had different ideas for us. After high school, my wish for being independent and living alone in another country took me to the Netherlands. I lived there for two years before I realized I was missing the girls too much, and I moved back to Hungary. Sofia – my identical triplet sister – got a sport related offer from Oslo, Norway, and moved there. I started working and attending university and spent a lot of time with Szilvia, my fraternal triplet sister. We were in almost daily contact with Sofia, but her being thousands of kilometers away was not the same. We all started our lives, Sofia was busy establishing herself in a new country, I was spending every second at work or studying, and Szilvia was trying to find out what she wished to do with her life. In the meantime, Sofia met her special one. 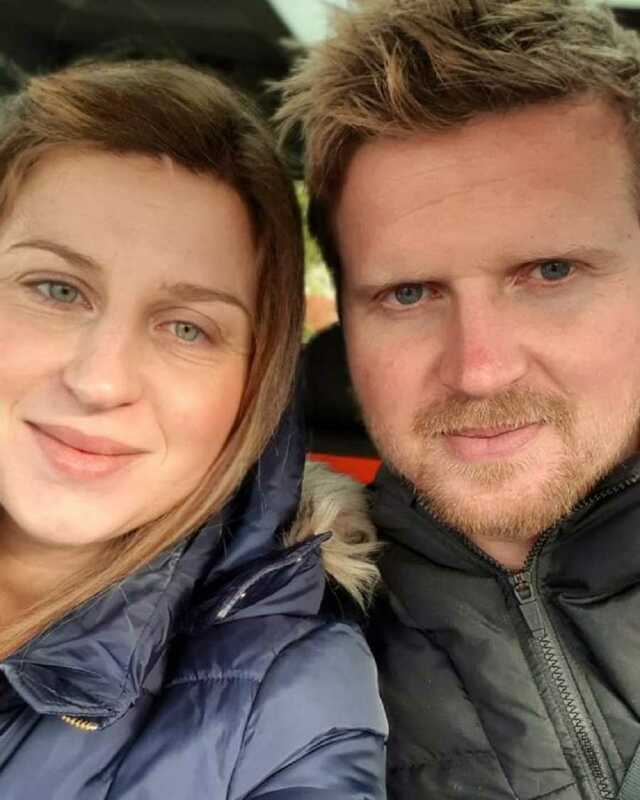 They were meant for each other and soon got married and had their first child. 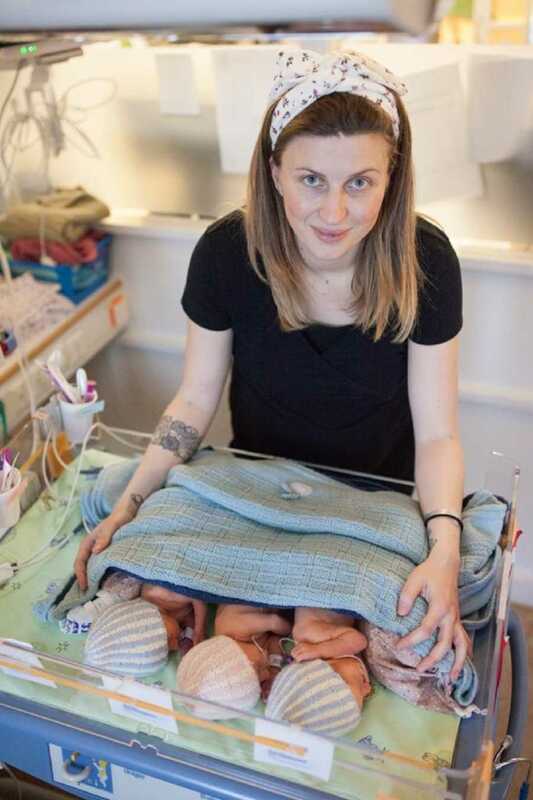 After a year of maternity leave, Sofia had to go back to work, but they did not get a place for their son in the kindergarten so Szilvia came to the rescue and moved to Norway to be a full-time nanny for her nephew. 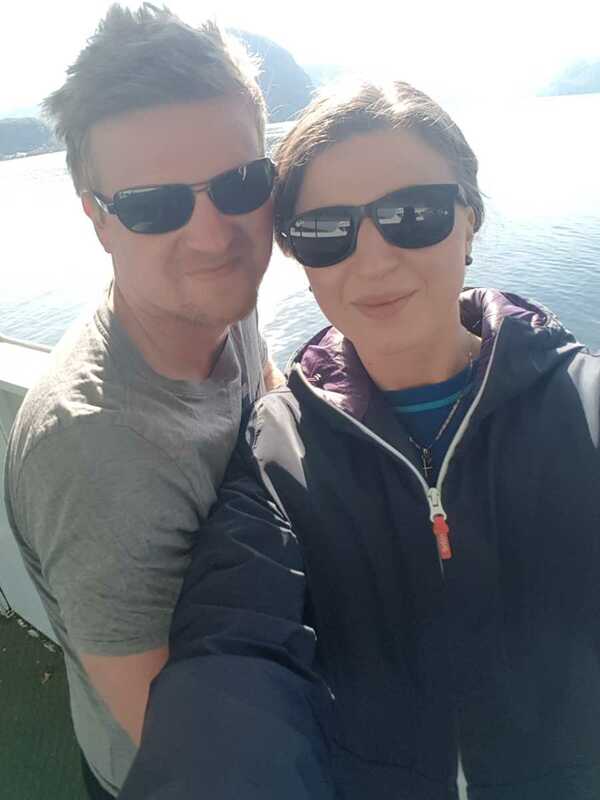 She has fallen in love with Norway, learned the language and has fallen in love with her now soon-to-be husband and never returned to Hungary. I felt very alone once Szilvia left, and I felt I needed a change. I made a big decision and got enrolled to a State Department Exchange program and moved to the United States where I spent almost 3 years. 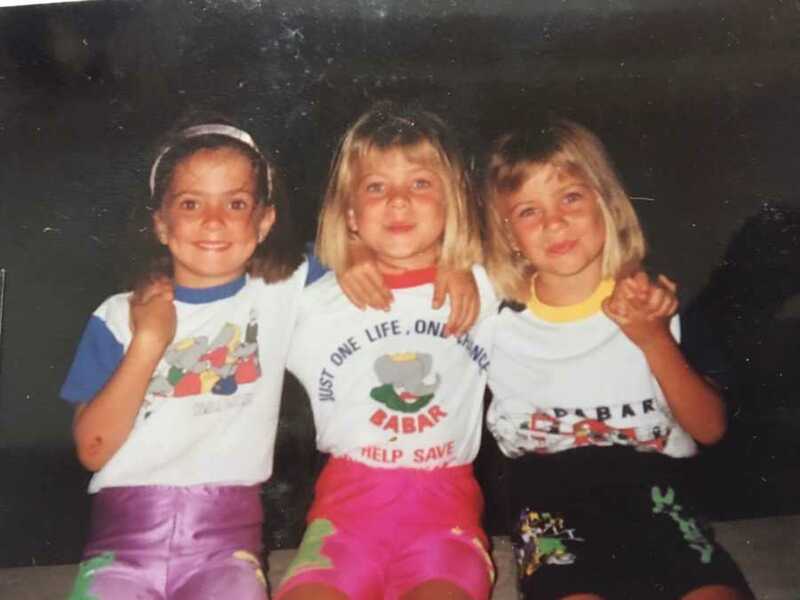 I needed to move from place to place in order to find out that I will never be complete without my sisters. No matter how big of an adventure would wait for me, I need the girls within ‘walking’ distance. After many back and forths, I finally also moved to Oslo, Norway. I did not have a job and I did not speak the language, I, however, had two sisters offering me a place to live, help learning the language and using their network to find a job. I did not want to let them down, so in 5 months I found a job I loved. All of sudden, life got much better. Everything had a meaning, and all the stars seemed to align when I met Glenn. Meeting Glenn was a coincidence. He is from Stavanger which a Norwegian city, a 7-hour drive from Oslo. We met online, hit it off and the rest is history. We had a great first date, enjoyed each other’s company and spent plenty of time together. He is the kind of guy I have always dreamt of. The perfect one for me. Once we felt our relationship was strong enough, we started talking about having kids. We agreed that we’d have one (maybe one more eventually). We thought that with our active and busy lifestyle, the best would be one baby whom we could take on many adventures. Life again had different ideas for me, for us. 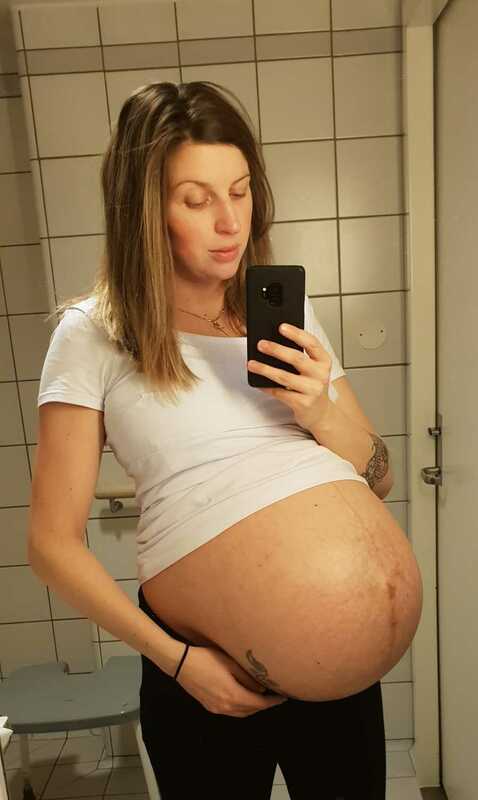 We were on a trip in Denmark when I found out I was pregnant. I did not say a word to Glenn, I called my sisters and they were so very excited and happy for me. It took me 3 days to tell it to Glenn. We agreed that we’d book a doctor’s appointment and check if everything was okay. I went alone as Glenn had to work, then I got the surprise of a lifetime. 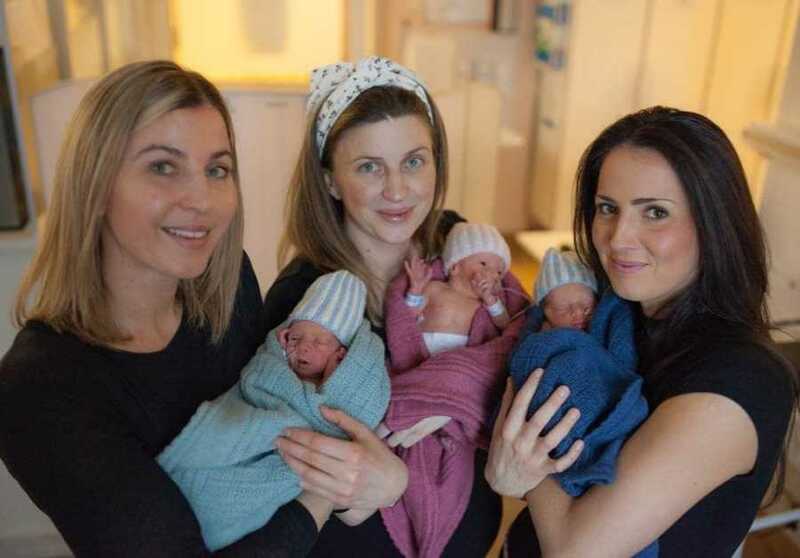 ‘It’s twins!,’ the doctor said. I couldn’t believe I was expecting twins. 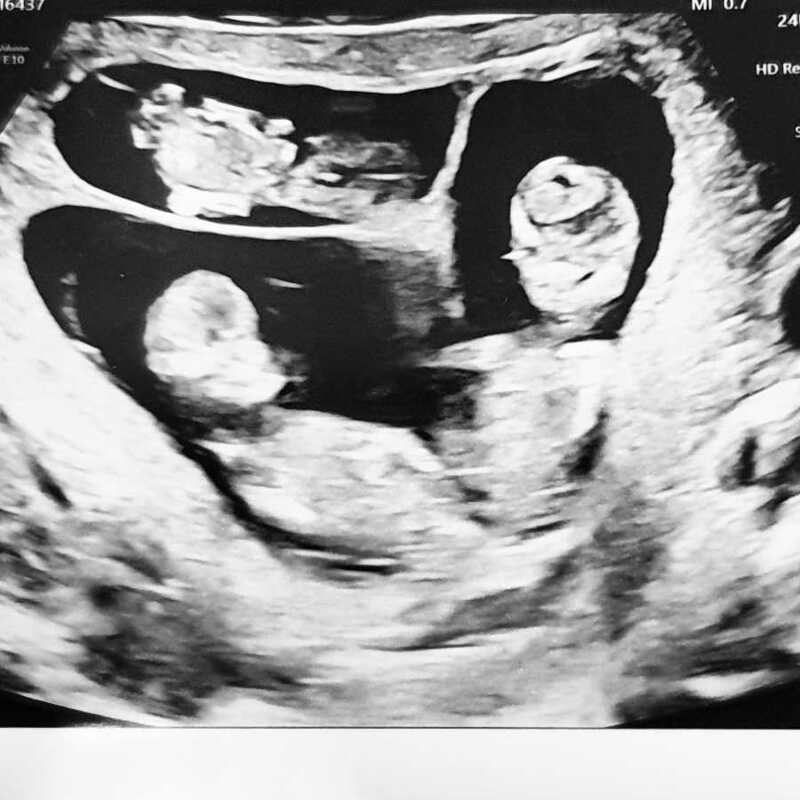 The pregnancy was so early there was not even a heartbeat to see, but the doctor showed me two amniotic sacks and wished me luck. Glenn needed some time to digest the news but after a day or two, he was really happy. It lasted for like 2 weeks… we decided to book an extra appointment at a private clinic to make sure all looked fine and the babies had heart beats. We went together and I was so very excited. Glenn was going to meet our babies for the very first time. ‘WHAT?! It is not possible,’ I thought. 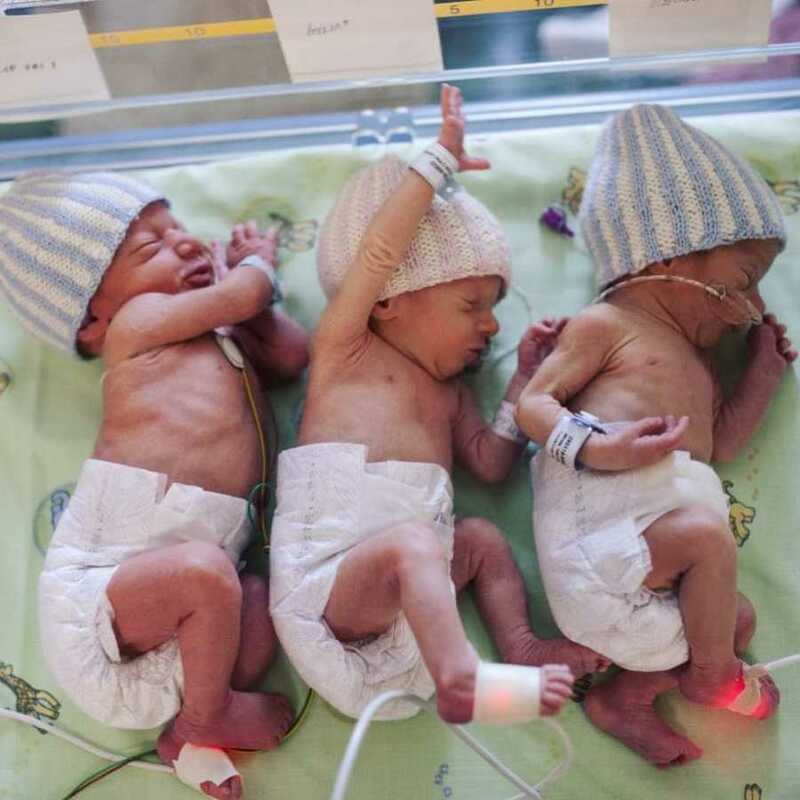 There is no way for a naturally conceived triplet to conceive triplets naturally! The odds are one in 6 million. No way it was possible, I thought. After getting the news I panicked, but I managed to keep myself in one piece while we were at the doctor’s office. I did not dare look the doctor in the eye or look at Glenn at all. Once we got out, I started crying. I have never cried like that before, not once. I had a thousand thoughts and I felt very worried. I have a weak heart and I have always known that a pregnancy could be a big challenge for my body. After discussing the matter with several doctors, we made a decision: fetal reduction. We agreed that carrying 3 babies is way too big of a risk and we just could not take that. We got an appointment to a hospital where they do the procedure. We were going to do something we did not desire, but felt would be the safest. We were going to have twins, not triplets. The hospital – where the procedure was supposed to be done – is a 7-hour drive from our home. It was Thursday. My face and eyes were swollen from crying for days. Glenn and I sat in the car and started to drive towards Trondheim. My sisters were calling me every 5 minutes. ‘Everything is going to be fine, we support you,’ they told me. We were sitting in the car for like 3 hours, both crying, and we just felt that something was hanging above us, but we could not say a word to each other. Eventually Glenn pulled over. ‘Are you sure?,’ he asked me. Instead of answering, I asked him if he was sure. Of course, none of us were sure. We knew we did not like the idea of aborting one of our babies but… what about all the complications? As we were sitting in the car, we all of a sudden managed to start looking at each other again, something we were not able to do in weeks. We started talking about our feelings and admitted to each other that we were very scared, not only because of my health condition, but because of the responsibility of having three children contains. We admitted we were afraid of losing our lives. BUT, we also agreed we just cannot imagine our lives without having all three of our children. After a long talk, just staring at each other for a while longer, Glenn finally turned the car around. We drove another 3 hours and got home to Oslo. After making the decision of taking all the risks and keeping all 3 babies, a difficult time was ahead of us. I was feeling sick all the time and had to quit my job. I was deeply scared of all the risks a triplet pregnancy has. 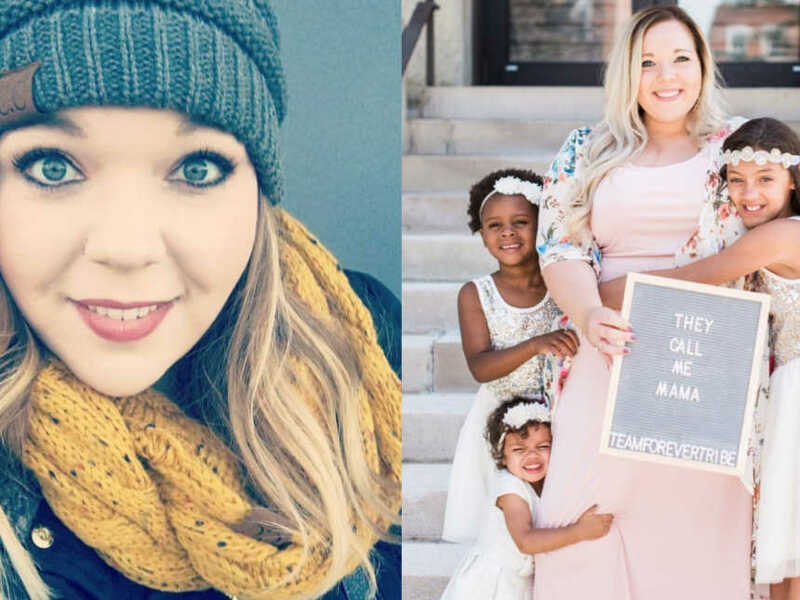 My sister came with the idea of making an Instagram account to document my pregnancy and to connect with other moms expecting multiples. She was hoping it could calm me down. And as always, Sofia was right. 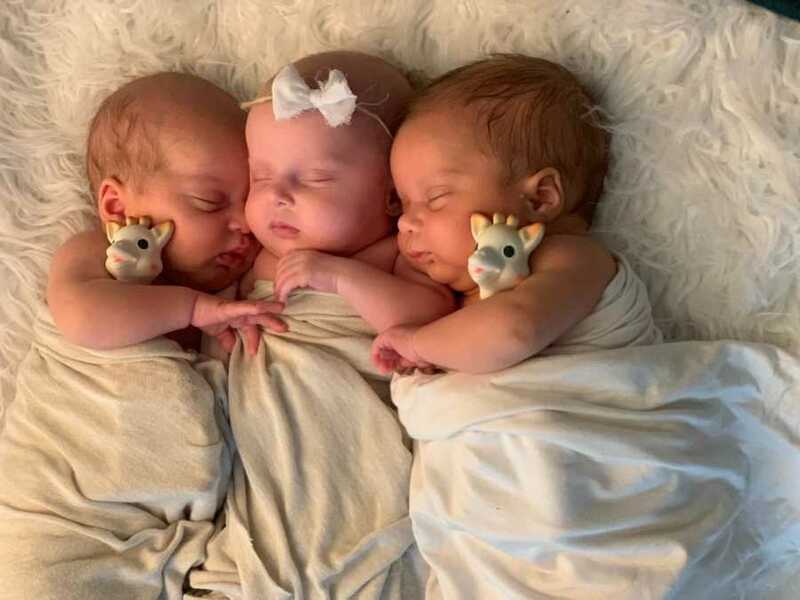 Through our account @triplet_with_triplets, which we operate together, I got in touch with a lot of mommas and got so much support. I really feel this Instagram community has helped me through all the tough periods while being pregnant. After a pregnancy that was lasting forever, and a difficult delivery at 34+0 gestation, Glenn and I (and my sisters who were by my side all along the way!) 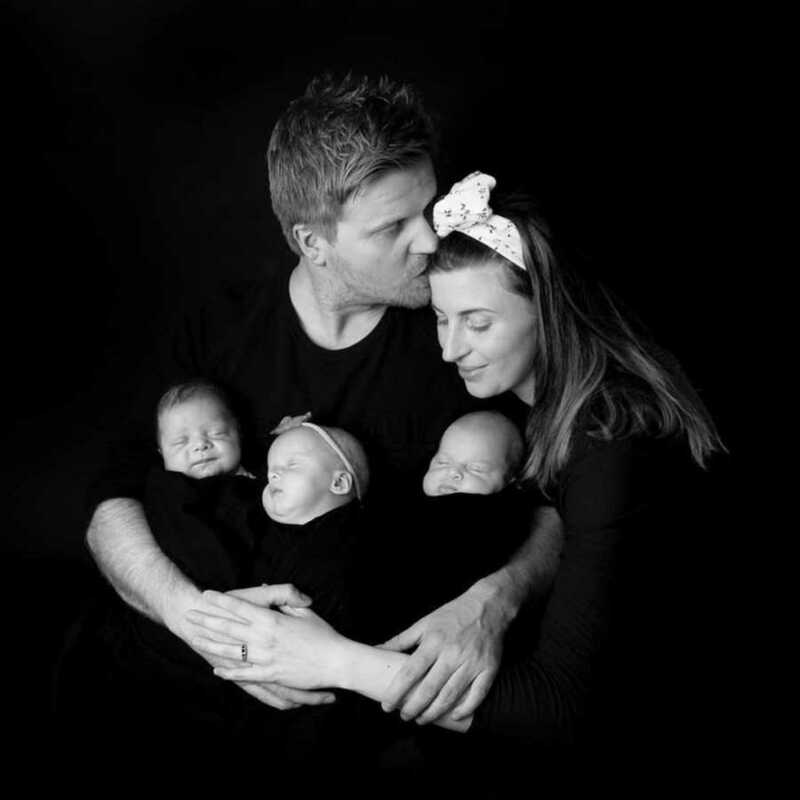 welcomed three healthy babies, Filip, Amelia and Henrik. Sofia and Szilvia were waiting right outside the operation room and they saw my babies before I did. They were there for Glenn while I was at the ICU and held my little sweethearts and gave them the snuggles I could not before I got released from the ICU. We spent 3 weeks at the NICU with the babies and the girls were there each and every day, helping me and doing everything for me. The babies are 9 weeks and 3 days today and we are all doing fine. We are deeply in love. Never have I thought one could be so in love. I am head over heels with my now- fiancé and my three adorable babies. I love every movement they are making, each of their giggles and no matter how tired I am, I can’t help smiling at them all the time. This story was submitted to Love What Matters by Judit Agota Minda of Oslo, Norway. You can follow their journey on Instagram. Do you have a similar experience? We’d like to hear your important journey. Submit your own story here, and subscribe to our best stories in our free newsletter here.